This volume is unique in its use of children's own words to explore their awareness of the submerged conventions of television genres, of their functions and effects, of their relationship to the real world, and of how this awareness varies with age and other factors. Based on detailed questionnaire data and conversations with 6 to 11-year-old children, carried out with the support of a fellowship at the Annenberg School for Communication, University of Pennsylvania, the book eloquently demonstrates how children use their knowledge of real life, of literature, and of art, in intelligently evaluating the relationship between television's formats, and the real world in which they live. 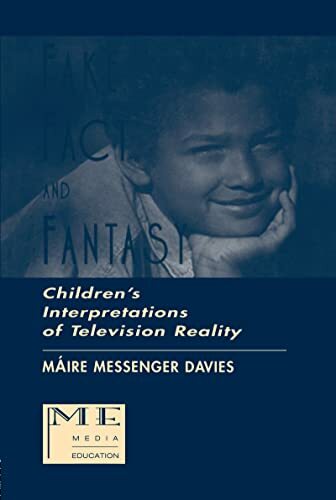 This volume is special in using children's own words to explore their awareness of submerged conventions of television genres, of their functions and effects, of their relationship to the real world, and of how this awareness varies with age and other factors. Recommended for collections in media studies, upper-level undergraduate and above. This book fills an important gap in existing research about television viewing, content of programs, and understanding by children.